A private event at the Magic Kingdom will close a number of attractions before the park closes. I have been going to Disney for years and I have always held them to a very high level. I do not believe that a company like Disney should ever cut corners or do something just to save money. 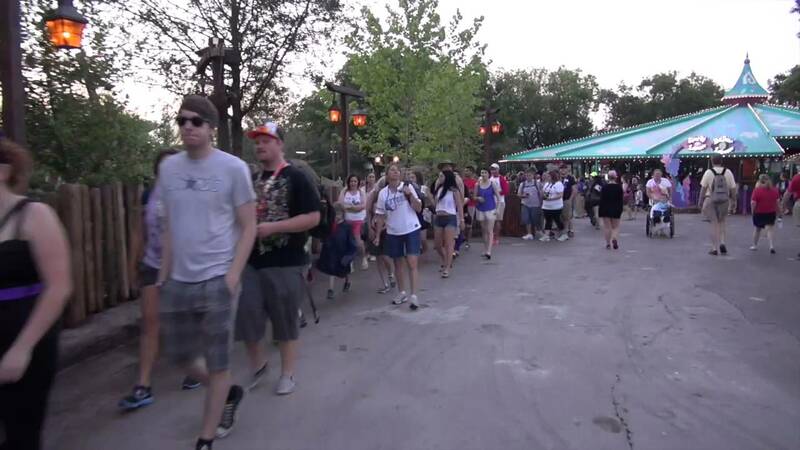 To be honest I thought that this was just going to be a way for Disney to attract people without spending money. I was awaiting the worse. But as the rockwork and other buildings started to peak over the wall I was kind of surprised. Once the area opened I was one of the first people inside. I spent pretty much all day admiring the rock work and looking at everything. Everything flows perfectly together and looks all very real. In fact I do not know why, but the rockwork here looks more real then the rocks in WWOHP down the street. Also the food in new fantasyland is fantastic! I would recommend Be Our Guest to anyone if you are able to get inside. If not then just head over to the tavern for some very good food. What this place does lack is good rides. Do not get me wrong, little mermaid is great for a clone. To a lot of people it is great, including myself. Hopefully the mine train will really be the big finale for the project! All in all I would say that this project passes in my book! "They nailed it!" 6 years ago by Lisa G.
When first reading the reviews of the little mermaid and other stuff I thought this area was not going to be th best. I had seen most of the Dumbo area from the previous trip and was pretty impressed, but the real good stuff is inside the enchanted forest. This is the kind of detail that makes Disney what it is. It has alot of great stuff to look at. Be Out Guest looked great inside and out while Gastons Taveran was pretty good. (There was not alot of food choices at Gastons, but the brisket was good) The Little Meraid ride was what I was probably fearing to ride the most. I was almost set on believeing that the ride was not going to be good at all. boy was I wrong. The castle and rockwork looks great as well as the line. The interactive Scuttle is also a cool little extra. The ride seemed pretty short but it was still a decent ride. I just wished they did not add some of the AA's from the "Under The Sea" scene to the final scene. It made the scene seem kind of cheap. Other then that I thought this was a great ride. I believe once the mine train opens that this will be a great new section of the park. The largest expansion in Magic Kingdom history and that is the best Disney could do? The folks at Disney should visit The Wizarding World of Harry Potter at Universal to learn the meaning of expansion. First the Test Track at Epcot, now this, strike two! Fantasyland is one of the seven themed lands of the Magic Kingdom and is inspired by the Disney animated classics. Fantasyland was built to look somewhat like a medieval fair - an expansive courtyard to Cinderella Castle. And it has been developed with fare for the whole family. Announced in September 2009, Fantasyland is in the process of undergoing a massive expansion that will double it's size. For more information on the expansion see "The NEW Fantasyland" section below. Join Belle in an enchanting story performance in the Beast's castle library. Be Our Guest and dine in one of three enchanted rooms inside the Beast's castle. Fly with Dumbo high above brand new circus grounds, twice the size of the existing attraction with a new interactive, three-ring circus tent. Journey under the sea with Ariel, The Little Mermaid, in her very own attraction. The new Fantasyland will be opened in phases, with the first opening in 2012, and the remainder opening in 2013. When does the new Fantasyland open? The new Fantasyland will be opened in phases, with the first opening of Storybook Circus on March 12 2012, and the remainder opening in 2013. The second phase of Storybook Circus, including the second Dumbo, the indoor queue area, and the Casey Jr Splash 'n' Soak Station will opened in July 2012. The third phase of Storybook Circus, including Pete's Silly Sideshow and Bit Top Souvenirs will open in November 2012. Under the Sea - Journey of The Little Mermaid, Enchanted Tales with Belle, Be Our Guest Restaurant, Gaston's Tavern and Ariel's Grotto will open for guest previews on November 19 2012, with Annual Passholder previews expected before this date. The official grand opening will be December 6 2012. The Seven Dwarf's Mine Train coaster will open in 2014. The first steps to beginning the massive construction project of the new Fantasyland are now underway. The week of 18 Jan 2010 saw the significant step of Imagineering taking up a former backstage rehersal area in Mickey's Toontown Fair to establish their project office to oversee the construction project. 10 February 2010 saw the first construction walls visible from guests areas. Construction permits were filed on 22 February 2010 for the first phases of the new Fantasyland expansion. Where will the new expansion be built? The new area is to be built in place of Mickey's Toontown Fair, and the area north of the current Fantasyland, occupying all of the space of the former 20,000 Leagues attraction which was cleared in 2004. For a look at this area see photos of the 20,000 Leagues Under the Sea demolition, and this video of a Skyway ride from Fantasyland to Tomorrowland. View a satellite view of the area. Will the expansion of Fantasyland impact my trip to Fantasyland during construction between 2010 and 2013? Disney have said that the existing Fantasyland will not be affected during the expansion, and all the attractions will remain open during, and after construction. Under the Sea ~ Journey of the Little Mermaid, a major, all-new attraction during which guests will travel with Ariel and her friends through their exciting adventures above and below the waves – all against a musical backdrop of songs from the classic film. The castle of the Beast, standing majestically upon a hill just across an old stone bridge from Ariel’s new home. The Be Our Guest Restaurant will feature a lavish dining experience in the elegant ballroom, gallery, and mysterious “West Wing” of the castle. With seating for 550, this magnificent facility will offer “great food fast” service by day and full table service dining in the evening. Nearby in Belle's Village, guests will find the rousing Gaston’s Tavern and Bonjour! Village Gifts. 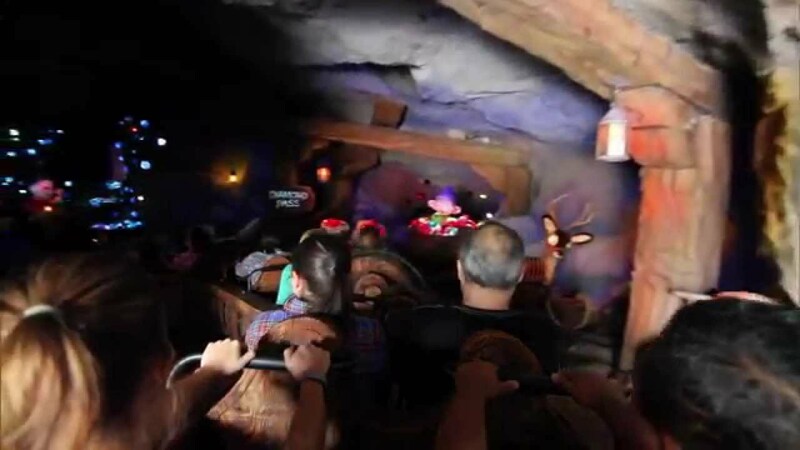 The Seven Dwarfs Mine Train will take guests on a rollicking, musical ride into the mine “where a million diamonds shine.” The coaster will feature a first-of-its kind ride system with a train of ride vehicles that swing back and forth, responding to every twist and turn of the track. The journey will be accompanied by music from the classic Disney film and animated figures of Snow White and the Dwarfs. In Princess Fairytale Hall, Aurora, Cinderella and other Disney princesses, such as Tiana and Rapunzel, will greet guests in their new home, an elegant royal court on the site where Snow White’s Scary Adventures stands today. The sound of the calliope will lead guests to the brand new Storybook Circus and not one but two circling carousels of airborne pachyderms on Dumbo the Flying Elephant. Before taking to the skies on this Fantasyland favorite, guests can experience an array of fun-filled family games and interactive wonders for kids of all ages inside the Big Top. Next door in Storybook Circus, the classic Barnstormer gets a bright new look as well, featuring Goofy as The Great Goofini. It’s a twisting, turning roller coaster “flight” high above the circus fun. What is the full list of additions coming to the new Fantasyland? The sound of the calliope will lead you to the brand new carousels of airborne pachyderms on Dumbo the Flying Elephant—now with 2 Dumbos! Before taking to the skies on this Fantasyland favorite, experience an array of fun-filled family games and interactive wonders for kids of all ages inside the Big Top. Hosted by the Great Goofini, this daredevil roller coaster, which twists and turns high above the Storybook Circus grounds, is getting a bright new look. Adjacent to the Fantasyland Train Station is the Casey Jr. Roundhouse, a circus-themed immersive water play area that's fun for the little ones. They'll splish and splash as Casey Jr. billows off cool steam and water squirts from playful monkeys, elephants and camels. Make a splash with Ariel as you take a voyage in a clamshell into a world of imagination under the sea. This attraction features her friends Sebastian and King Triton and, of course, music from the Walt Disney Pictures film. While approaching Ariel's Grotto to meet The Little Mermaid, join Scuttle for this fun, interactive game! Search the seaside entrance way to find the seagull's treasures from the Human World, like a dinglehopper or a bulbous snarfblatt. Scuttle will be on hand to help with the hunt. In Maurice's workshop, a magical mirror is your doorway to a captivating storytelling experience. Transport to the Beast's library to meet Belle and Lumiere, and share in a lively, interactive re-telling of the "tale as old as time." Experience the elegant ballroom, gallery and mysterious West Wing of the Beast's castle. With seating for 550, this magnificent dining hall will offer great quick-service meals by day and full table-service dining in the evening. Nearby in Belle's Village, discover the rousing Gaston's Tavern and Bonjour! Greet Aurora, Cinderella and Tiana and in their new home, an elegant royal court fit for every princess. Heigh-ho, heigh-ho, off to work you go! 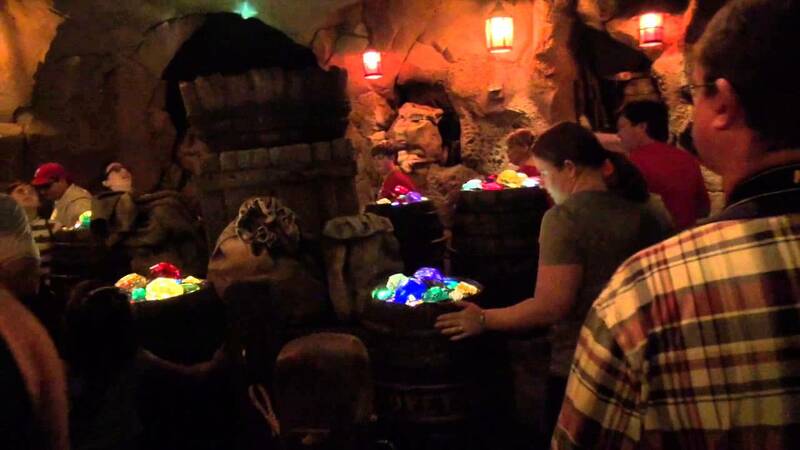 Take a rollicking, musical ride through the Seven Dwarfs mine—where a million diamonds shine. This roller coaster features a first-of-its-kind train that responds to every twist and turn of the track . The journey will be accompanied by music from Walt Disney's animated classic, Snow White and the Seven Dwarfs. What will happen to Mickey's Toontown Fair? Mickey's Toontown Fair closed at the end of February 11 2011 to begin the next phase of the Fantasyland expansion project. Mickey, Minnie and the Disney Princesses are now in the Town Square Theater. Tinker Bell and the other fairies are now located in the Adventureland Veranda. The Railroad station in Toontown Fair is closed, but the railroad will continue operation. The Barnstormer will be re-themed as The Great Goofini, and will retain the same track. What will happen to Snow White's Scary Adventures? The attraction will be permanently closing to make way for Princess Fairytale Hall meet and greet. Disney announced on February 23 2012 that Snow White's Scary Adventures will be closing on May 31 2012. What was removed/added with the January 18 2011 announcement? The "share a dance with Cinderella", "celebrate Sleeping Beauty's birthday", and Pixie Hollow were cancelled and replaced with Princess Fairytale Hall meet and greet and The Seven Dwarfs Mine Train roller coaster. The original September 12 2009 announcement can be viewed here. Is there any concept art showing the new areas? Where can I find news updates and latest construction photos for the new Fantasyland? Is there a discussion area read more or ask questions about the Fantasyland expansion?